From Florida beach weddings packages to private beach weddings in Florida. 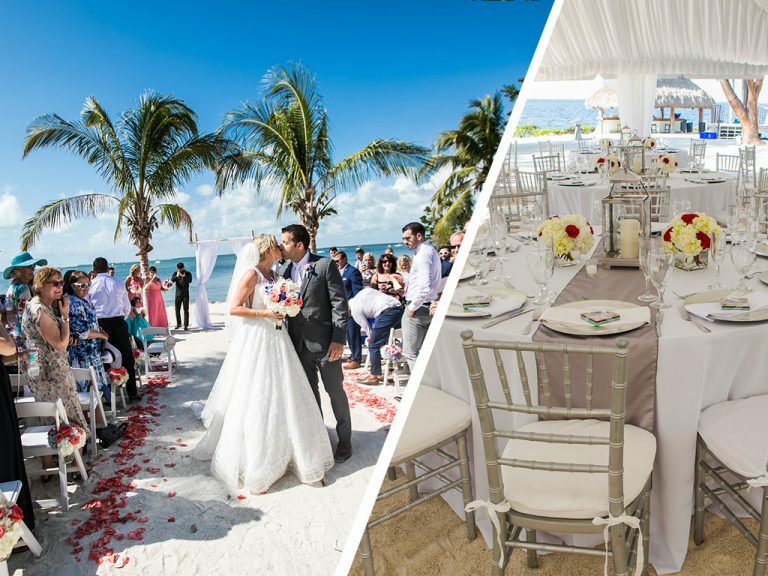 You can host a 4-day/3-night destination wedding celebration at Key Largo Lighthouse Beach for about the same price as a 1-evening wedding at a fine hotel. Unlike any hotel or resort, our beach wedding locations are strictly private, creating an unparalleled Florida beach wedding mood. This short video will take you there! Toss out the old wedding rule book and say goodbye to those common “Been There Before” weddings. This is the home of thrilling Florida destination weddings. 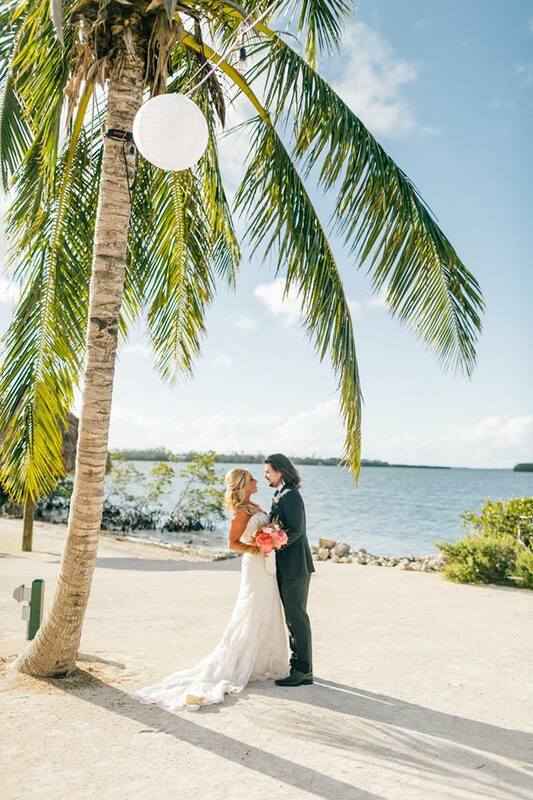 Our beach wedding locations in the Florida Keys allow you to totally personalize your destination wedding in a more open atmosphere for the ultimate private beach weddings in Florida. …but nobody wants a boring one. How do you create spectacular beach weddings in Florida? Make it the best day of your life. Private, fun, and intimate Florida beach weddings. What is it like? How does it work? The entire property is all yours, and only yours to live, to play and to have all your parties directly on the property during your entire visit of up to 4 days and three nights. Rent the entire estate with its own private beach. Enjoy private accommodations, manicured grounds, a private marina, palm trees fanned by the gentle trade winds. This is a sample, a possible itinerary. You get to make your own schedule. Your out of state guests will not wait to fly on the morning of your wedding. Typically, all of your guests arrive the day before the wedding, which makes for a large rehearsal/welcome (night before) party. It doesn’t need to be extravagant, in fact, ultra-simple is the norm. What you may not have considered is that on your wedding day you don’t really get to see your guests. There is hair, makeup, and getting ready all day, then the ceremony, then photos, then dinner, a dance with dad, a speech or two, and the night is over. On Friday night, you, as a couple, get to introduce all the friends and family to one another and have an enjoyable, relaxed evening to get to know one another. Of course, the next day is your wedding and reception. You will be relaxed. Why? Because of the party the night before. You guests already know one another and are familiar with the property. After the previous two or more days with little sleep, it would not be fun to get up early in the morning after your wedding night to leave. So we add an entire luxury day to the schedule to get up late, have a brunch together, and say goodbye to some for the last time. It allows for an entire afternoon to unwind and enjoy one another’s company, reflect on the day before, and recharge a little. Some guests will fly out today, some tomorrow. Whatever works best for you, you can leave the night of day 3 or you can check out this morning on Day 4. A private beach wedding like no other! Experience a new modern idea for Florida destination weddings. You will live and marry on our stunning waterfront estate in privacy. You are the only guests for your entire stay. This isn’t like a hotel or resort. Your destination wedding isn’t just an afternoon wedding ceremony and an evening reception. Getting married at our Florida Keys wedding venues on the beach, it’s like getting married on your own private island. Plan your Florida beach wedding with confidence. Florida’s best destination weddings are created here every week. Our Florida beach weddings are all about personalization and having fun. 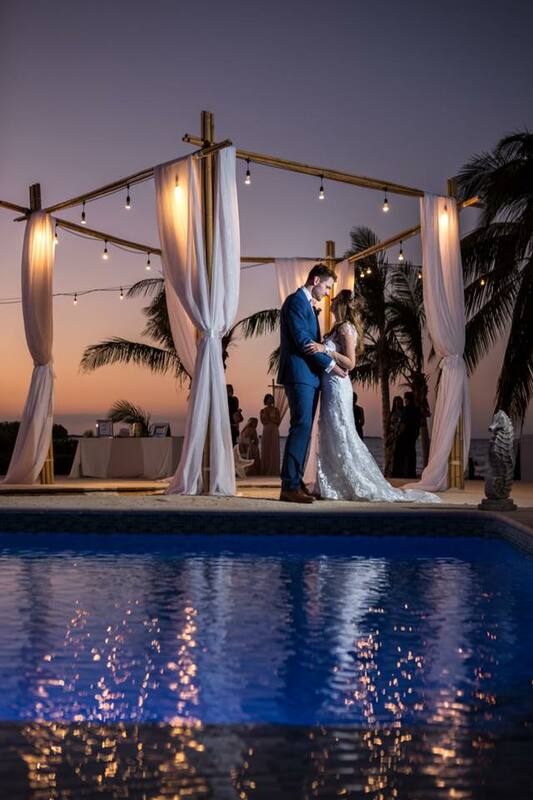 Imagine a place designed especially for private beach weddings in Florida, where your wedding becomes a multi-day family celebration with days to be together in a relaxed private atmosphere. This island is surrounded by the pristine Florida Keys water. We are in Key Largo. Home to the last living coral reef in North America. There are so many fascinating things to see and do right on the property. Amazing destination weddings in Florida! 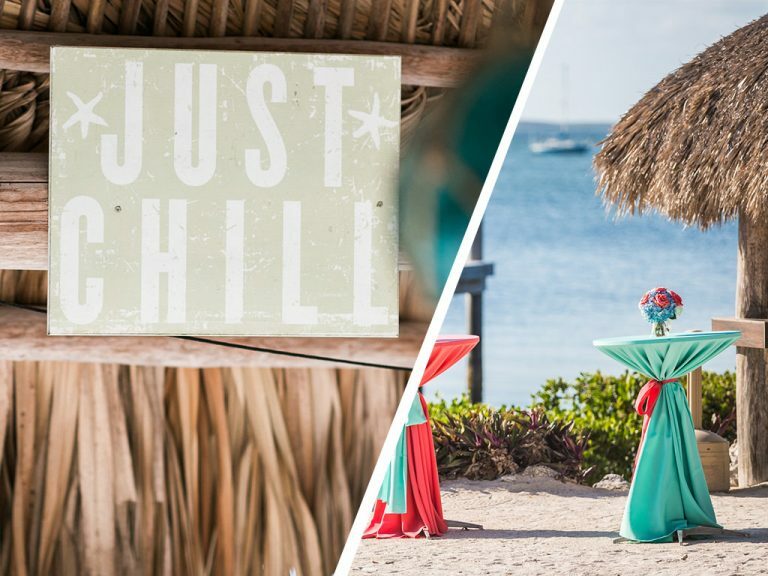 The perfect Caribbean wedding packages? 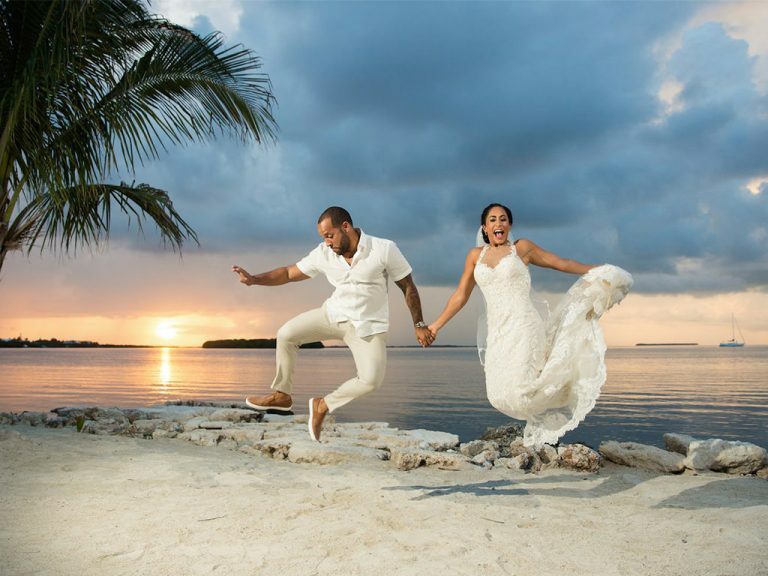 Couples searching exclusive Caribbean wedding locales for the perfect beach wedding offers quickly find that most take place on only a handful of exclusives hotel or resort wedding destinations. Finding the right destination wedding locations and planning that perfect wedding can be time-consuming and stressful. Simplify. Let your love shine and treat your guests to the beach wedding of a lifetime. 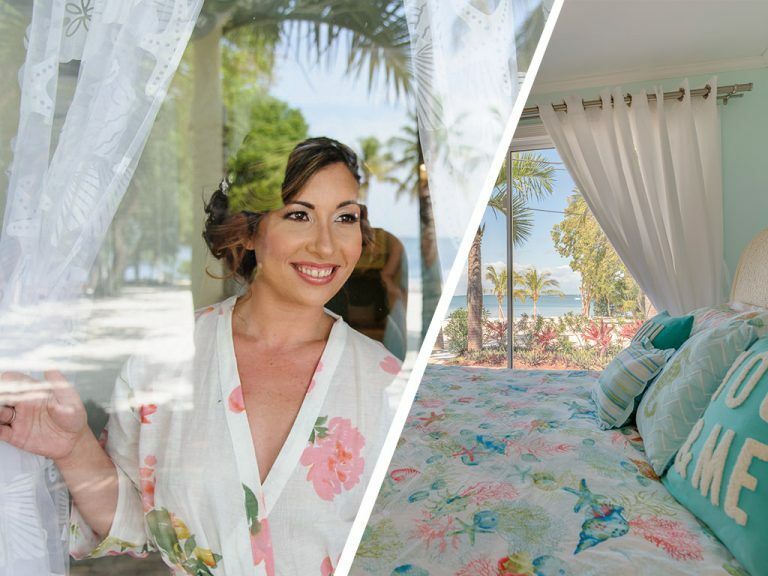 Couples plan Florida Keys destination weddings at Key Largo Lighthouse Beach that are a step above exclusive hotel or resort weddings. Privacy, experience, affordability, and our perfect location mean planning your destination wedding will be a breeze. Exclusive Florida beach weddings and finding the perfect wedding destinations. Couples intent on finding Caribbean wedding destinations love our inclusive offers which make planning their private beach weddings simple. Exclusive service highlights our world-renowned offers to plan the perfect Florida Keys destination wedding packages. Unique destination wedding services and special offers not found at hotel wedding destinations or a resort make planning weddings on our private beach wedding locales effortless. Do you think that means you need a huge wedding budget? Not at all. 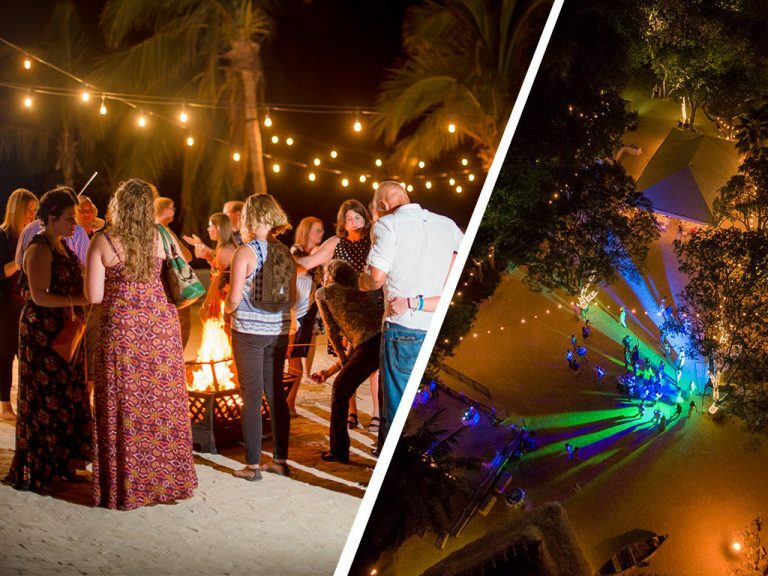 If you can afford one night at an exclusive wedding hotel or resort, you can probably afford a very private 4-day/3 night destination wedding in the Florida Keys. Call or Email us 7 days a week.